Pakistan is building digital surveillance capacity to rival America's NSA with broad public support in the country, according to a report by London-based Privacy International. "Attacks against civilian targets in Pakistan’s cities have also fed popular support for communications surveillance and other efforts to register and monitor the civilian population, including national databases and mandatory SIM card registration", says the report. Pakistan requires universal SIM card registration by fingerprint, and maintains a national biometric ID database. Pakistan has seen nearly 60,000 of its citizens die in incidents of terrorism since the US invasion of Afghanistan in 2002, according to data reported by South Asia Terrorism Portal (SATP). What is happening in the country now follows a familiar pattern seen elsewhere in the world: Faced with growing terror threat, people are willing to trade privacy for security. "In June 2013, the Inter-Services Intelligence (ISI), Pakistan’s best known intelligence agency, sought to develop a mass surveillance system by directly tapping the main fibreoptic cables entering Pakistan that carried most of the nation’s network communication data. The confidential request for proposals outlines a “Targeted IP Monitoring System and COE [Common Operations Environments]” that aimed to capture and store approximately 660 gigabits of internet protocol (IP) traffic per second under ISI control. This system would make available virtually all of the nation’s domestic and international communications data for scrutiny, the most significant expansion of the government’s capacity to conduct mass surveillance to date. 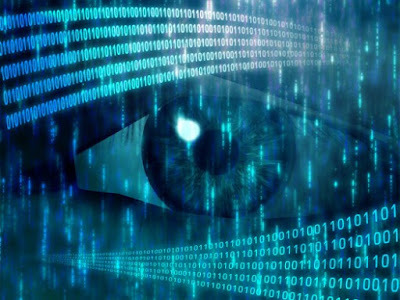 The total intake of data every second sought by Pakistan in the proposal document would rival some of the world’s most powerful surveillance programmes, including the UK’s ‘Tempora’ and US’ ‘Upstream’ programmes. What the ISI wanted to build, according to the request for proposals, was a complete surveillance system that would capture mobile communications data, including Wi-Fi, all broadband internet traffic, and any data transmitted over 3G. According to the documents, the interception activities were to be “seamless” and “must not be detectable or visible to the subscriber”. Pakistan has seen a significant decline in terror-related deaths in the last two years. 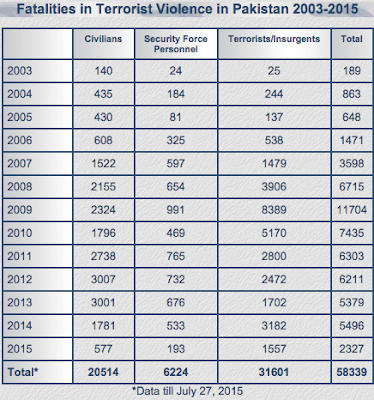 Civilian death toll has declined from 3001 in 2013 to 1781 in 2014 and 577 so far this year, according to SATP. It's attributed mainly to the launch of Pakistan Army's Operation Zarb e Azb against militants in 2013. It is believed that increased electronic surveillance has probably contributed to at least some of this success in reducing death toll. The Sindh police have finally acquired the multimillion-rupee 4G mobile phone call locator system, the technology that had once been in the exclusive use of the intelligence agencies, and handed it over to the Counter Terrorism Department (CTD), which will put it at the disposal of all wings of the police department, it emerged on Saturday. Officials said the CTD had been chosen by the top brass to run the system as the department handled the most heinous crimes committed by hardened criminals and militants. “In fact, the Sindh police have acquired two 4G mobile phone call locators, which have been handed over to the CTD for use in the entire province. The police have been using the technology for more than two years but the latest one is a modern [gadget] to trace smartphone communications,” said a police source. In 2013 the Sindh police had acquired two sets of the system and initially the Special Branch was told to run it, which also facilitated investigation of cases by other arms of the department, said the source. Officials said that those previous sets were capable of meeting requirements of 2G and 3G mobile phones. “As the name suggests, the caller locator will allow police investigators to spot the exact location from where a mobile phone call is being made,” said the source. It all began in 2010 when the Sindh police had planned to use the system but they had to shelve it after opposition from the country’s powerful intelligence apparatus. In line with the past practice, police heavily depended on the intelligence agencies when they needed to locate mobile phone calls, especially those made in high-profile cases of kidnapping for ransom and extortion. The Peshawar police had gained the technology years ago. Moreover, the Sindh government and business community also supported the move to end once and for all police investigators’ oft-repeated excuse that they could not effectively deal with organised gangs in the absence of modern technology. “The CTD SSP has been appointed focal person for the entire department who could be approached by any unit of the Karachi police with a request for the use of the system,” said an official. He said the use of modern technology would quash the excuse often extended by the law-enforcement agency for its failure in certain cases because of lack of such equipment and it would also enhance its investigation capability. “The sets acquired by the police have been locally designed and developed. [The technology] has been effectively used for tracing criminals and kidnappers in the interior of Sindh where several groups were busted using the technology,” he added. One of the oldest priorities for the Chinese government since talks on CPEC began is fibreoptic connectivity between China and Pakistan. An MoU for such a link was signed in July 2013, at a time when CPEC appeared to be little more than a road link between Kashgar and Gwadar. But the plan reveals that the link goes far beyond a simple fibreoptic set up. China has various reasons for wanting a terrestrial fibreoptic link with Pakistan, including its own limited number of submarine landing stations and international gateway exchanges which can serve as a bottleneck to future growth of internet traffic. This is especially true for the western provinces. “Moreover, China’s telecom services to Africa need to be transferred in Europe, so there is certain hidden danger of the overall security” says the plan. Pakistan has four submarine cables to handle its internet traffic, but only one landing station, which raises security risks as well. So the plan envisages a terrestrial cable across the Khunjerab pass to Islamabad, and a submarine landing station in Gwadar, linked to Sukkur. From there, the backbone will link the two in Islamabad, as well as all major cities in Pakistan. The expanded bandwidth that will open up will enable terrestrial broadcast of digital HD television, called Digital Television Terrestrial Multimedia Broadcasting (DTMB). This is envisioned as more than just a technological contribution. It is a “cultural transmission carrier. The future cooperation between Chinese and Pakistani media will be beneficial to disseminating Chinese culture in Pakistan, further enhancing mutual understanding between the two peoples and the traditional friendship between the two countries.” The plan says nothing about how the system will be used to control the content of broadcast media, nor does it say anything more about “the future cooperation between Chinese and Pakistani media”. It also seeks to create an electronic monitoring and control system for the border in Khunjerab, as well as run a “safe cities” project. The safe city project will deploy explosive detectors and scanners to “cover major roads, case-prone areas and crowded places…in urban areas to conduct real-time monitoring and 24 hour video recording.” Signals gathered from the surveillance system will be transmitted to a command centre, but the plan says nothing about who will staff the command centre, what sort of signs they will look for, and who will provide the response. “There is a plan to build a pilot safe city in Peshawar, which faces a fairly severe security situation in northwestern Pakistan” the plan says, following which the program will be extended to major cities such as Islamabad, Lahore and Karachi, hinting that the feeds will be shared eventually, and perhaps even recorded.